(1.40 p.m. AEST) – Dream Cruises has announced the line will base a ship in Australia during the 2019-20 cruise season. 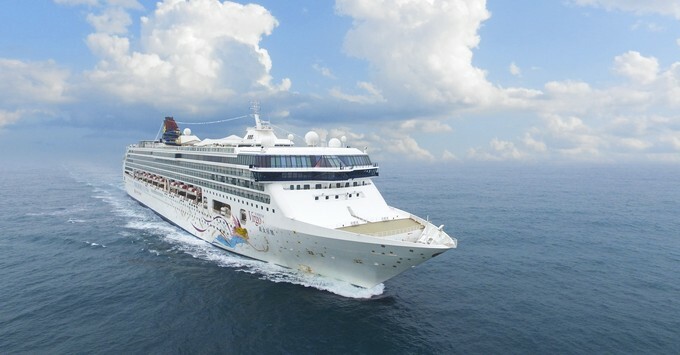 Star Cruises’ SuperStar Virgo is being transferred to Dream Cruises and will undergo a US$30 million transformation to become Explorer Dream. This will be the first time Dream Cruises has sailed outside Asia. Dream Cruises is part of Genting Cruise Line which also owns Crystal Cruises and Star Cruises. The 1,870 passenger Explorer Dream will act as a pathfinder for the line as it tests the waters in a new market. Thatcher Brown, President of Dream Cruises, sees this as the first step towards Dream Cruises becoming Asia’s Global Cruise Line. Explorer Dream will be fitted with new facilities such as The Palace, Dream Cruises’ signature private enclave featuring 50 suites and butler service, which was well received by high-end travellers in Asia. New food and beverage options with an “East meets West” focus and a new Crystal Life Spa will also be added to the ship. Explorer Dream will homeport in Sydney and Auckland from October 2019 where she will embark on 21 seven-night cruises with a choice of three itineraries: Queensland and the Great Barrier Reef, Tasmania and Melbourne, and New Zealand. The cost of these itineraries is yet to be announced but special deals will likely be offered to encourage Australians to book for Explorer Dream’s maiden season.